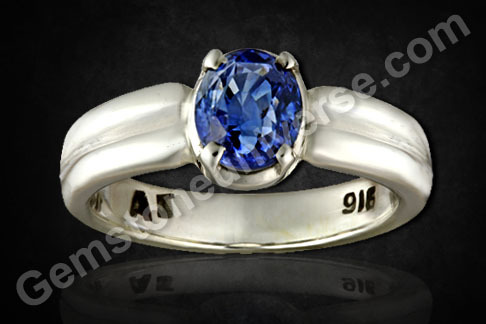 Ringing in the Nature’s marvel – Flawless, Loupe Clean Burmese Blue Sapphire at a whopping 12.87cts! Dive in. And we guarantee you it is going to be the experience of a lifetime. One look at the serene and tranquil Blue Sapphire of 12.87 carats is enough to mesmerise you. This lovely oval is of Burmese origin and sits ensconced in a gold ring encircled and accented by several diamonds. You can let your consciousness gather and converge into this gemstone of Saturn. The deep blue has depth, power and pull to take your consciousness for a swim in the waters of eternity. Enjoy, as you glide along and explore with abandon, a feeling so rare and indescribable. It is not for nothing that the Blue Sapphire always gives the feeling of a parallel universe contained within it. A feast dished out by nature is always delectable and delightful. This gratification, this treat is for the senses that no pleasure conceptualised purely by man can match. You can have your own party – a saturnalia, within your soul as your eyes feast on this gem. 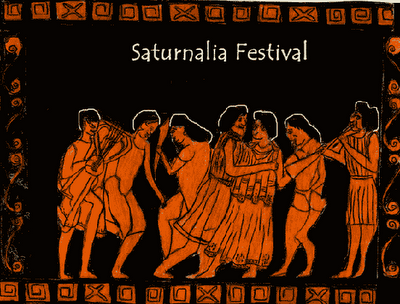 Incidentally, Saturnalia was a festival that was celebrated in ancient Rome to honour Saturn, the youngest of the Titans. Initially, the festival was celebrated for just a day. But such was its popularity that it was eventually held for a week’s time. 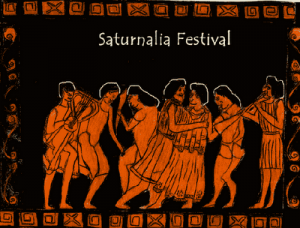 This festival involved a public ritual where the Statue of Saturn was untied. This statue remained bound by ropes the entire year long and only during Saturnalia was it freed. You can also unchain many of your blocks just by reposing your consciousness into this extremely powerful gem. As they say, it may be a collector’s item, but energy cannot be contained! Harness it, allow your consciousness to take a dive and walk away with a great feeling! Comments A picture speaks a thousand words and when you view this gemstone there is nothing much to be said. Just explaining the 5C’s for this august beauty would be an understatement.The challenges associated with securing this Blue Sapphire for our patron is a story for another day. This is a classic collectible weighing in at 12.87 carats. 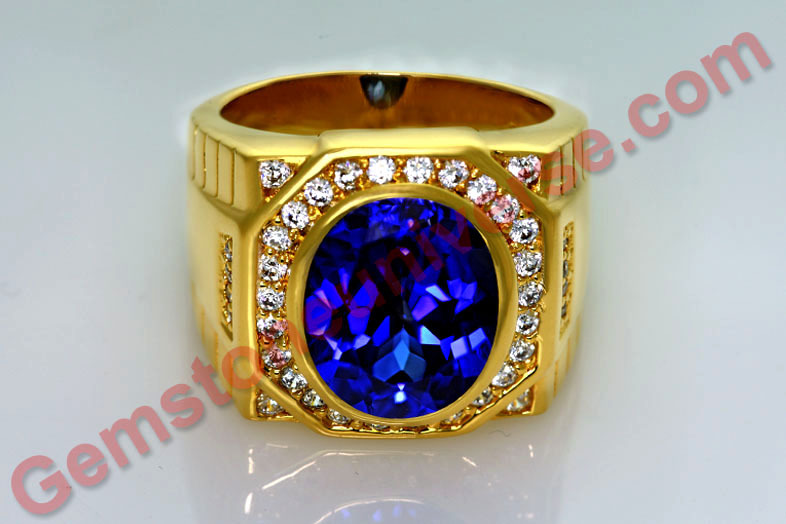 What makes it so special is that at this massive size it is free from thermal enhancement, has a symmetrical cut, loupe clean clarity, and a color so pleasing and full of fire that this exquisite ring just hypnotizes you. The Accent Diamond accentuates the beauty. This Blue Sapphire is similar to Lady Diana’s wedding ring with the only difference that this one is slightly bigger and from Burma whereas Lady Diana’s Sapphire is from Ceylon. Spectacular brilliance in this extremely rare and absolutely flawless Ceylon White Sapphire! Natural White Sapphire – the gem of the planet of Beauty and Luxury – Venus! 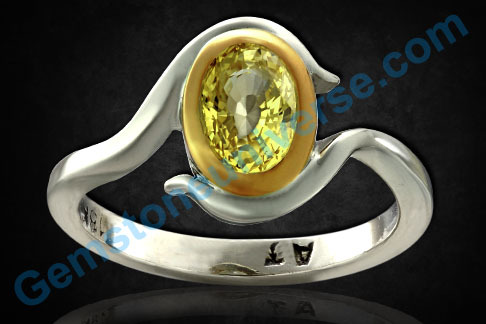 Natural Yellow Sapphire the gemstone for the Vedic astrology signs of Sagittarius and Pisces ruled by Jupiter! Jupiter is considered the most Sattvik and benefic planets of all the Navagrahas. 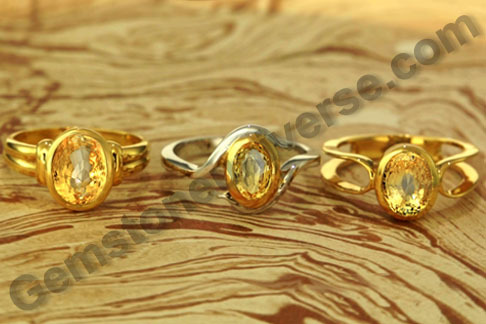 Natural Yellow Sapphires for the birthstones for the Vedic signs of Sagittarius and Pisces. It is has been stated in the Shastras that wearing a Yellow Sapphire brings stability in marriage and interpersonal relationships and also helps the female individuals get married if there is any delay in marriage! It also has the ability of transform individuals into highly pious and spiritual people and also helps in giving the ability of look inwards! A few of the other benefits of wearing a Yellow Sapphire are, good health, wisdom and fame. To gain of all of the supreme powers of the planet Jupiter by wearing its gemstone, Natural Yellow Sapphire, use the below video as a reference point to ascertain what a fine Jyotish quality Yellow Sapphire should look like! 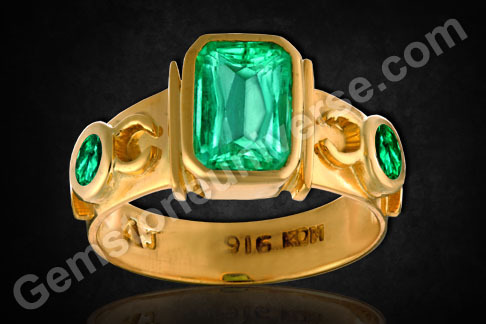 The gem whose name when translated from Greek means Golden Green! A fully natural Chrysoberyl Cat’s Eye that justifies its name! 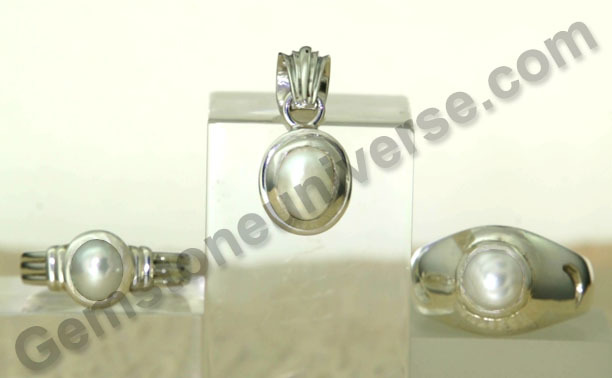 Selected Rings, Pendants and Talismans made available to Gemstoneuniverse.com patrons in September 2011. Comments Chrysoberyl gets its name from the Greek words CHRYSO meaning Golden and BERYL meaning Green. Chrysoberyl means Golden Green. That’s why Green and Honey tones are the most valued colors in Chrysoberyl. Cats Eye gets it name from the Phenomenon it exhibits, which are called CHATOYANCY, which literally means Cat’s Eye in French. Hence the name Chrysoberyl Cat’s Eye. 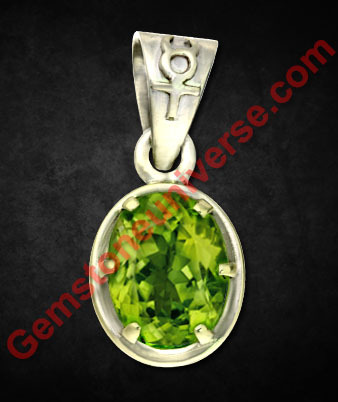 A beautifully golden green colored, perfect cabochon to harness the immense powers of the Karmic Planet – Ketu! 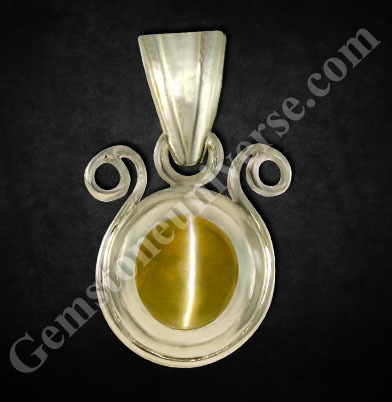 A fully natural and untreated Chrysoberyl Cat’s Eye from Ceylon with a beautifully centred eye! A Mystical and Sattvik talisman with potent Jyotish powers of the South Node – Ketu and set in a beautiful sterling silver pendant surrounded by the ancient and sacred symbols of Ketu! Gemstones of the planet that can elevate one to positions of great wealth and power and confer public influence over the masses! Such is the power of the karmic planet Rahu! The planet that was conferred the status of a planet by Lord Vishnu himself, Rahu has the power to strengthen one’s power and even convert one’s enemies into his friends! Having Karmic influences this planet also known as the Dragon’s head, or the head of the snake, is said to have the power to remove the effects of Snakebites! The gemstone that can harness all these powers that are conferred by Rahu is a Natural Hessonite! 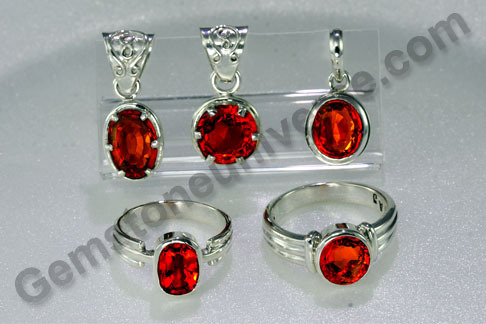 Hessonite is also known as Gomed, Gomedhak or Cinnamonstone. Hessonite is also considered the January birthstone. 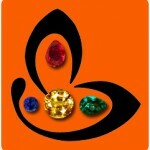 A Hessonite should be lustrous, full of fire, have fine color to deliver the best planetary benefits. Have a look at this video and use it a reference point to assess the above-mentioned qualities that a Hessonite garnet should have! The cosmic color of the Karmic planet Rahu is ultra –Violet! And in these days science is using these UV rays to cure diseases that were earlier untreatable. The Rahu talismans that are ready for the consecration process in an auspicious Mahurat! With such powers and influences that can cure diseases, provide great materialistic gains and also spiritual enlightenment, Natural Hessonite the gem of the Karmic planet Rahu!